If you’ve ever wondered what the power of the mind looks like, and you’re also looking for some inspiration, then this is the episode for you! John Timar is a former Navy SEAL, who is now the Chief Sales Officer for Kill Cliff, a leading clean hydration and sports nutrition brand for elite athletes. John is also a successful, long-time entrepreneur. As a young man he set his sights on becoming a Navy SEAL despite the many naysayers along the way. In this episode John takes us through the long, grueling journey to become a Navy SEAL, what life was like in the SEAL teams in the ‘90s, and what led him to become a successful entrepreneur. So, if you’re looking for a shot of motivation, or just want to learn how to become a badass in the business world, then check out this latest episode of HAZARD GROUND! Do you shop at Amazon? Our guess is, you do. So do us a favor and head over to www.hazardground.com, click on the Amazon banner on the home page, and do your Amazon shopping from there. Personal shopping, business purchases…It can all be done from that little Amazon banner. It costs you nothing, and it helps the show out tremendously! THE BEST PART IS we’ll be donating a portion of the proceeds from this partnership to one of the vet organizations featured on this podcast…Merging Vets & Players, Shadow Warrior Foundation, Mission Memorial Day, The Greatest Generations Foundation, The Pat Tillman Foundation, etc. 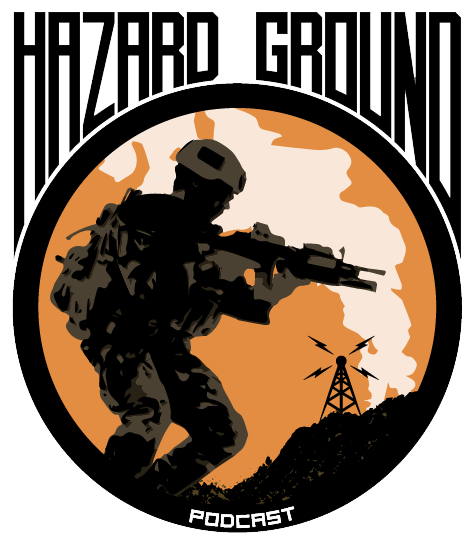 So help us out, help out these great organizations, and head over to hazardground.com and click on the Amazon banner today! Thank you, thank you, thank you for listening…Spread the word, tell a friend!! Timar is the man! Thank you for your service and thank you for your sharing your story.